(TORONTO – December 16, 2010) Jackson Pollock. Mark Rothko. Robert Motherwell. Joan Mitchell. Arshile Gorky. Lee Krasner. Willem de Kooning. These are just a few of the legendary 20th-century artists whose artwork will be on view at the Art Gallery of Ontario in summer 2011 when the Gallery welcomes Abstract Expressionist New York, an exhibition drawn from the collection of The Museum of Modern Art (MoMA). The exhibition, on view from May 28 through September 4, 2011, features 100 key works by artists whose radical work changed the course of art history and catapulted New York City to the centre of the international art world. Abstract Expressionist New York is drawn entirely from MoMA’s collection of works by the pioneers of abstract expressionism, from its beginnings in the 1940s through its zenith in the 1950s and 1960s. The exhibition features works across a variety of mediums, including painting, sculpture, drawings, and photographs, including 12 era-defining works by Pollock, and multiple works by Rothko, Motherwell, de Kooning, Gorky, Barnett Newman, Louise Bourgeois, Philip Guston, Adolph Gottlieb, Franz Kline, David Smith, and others. 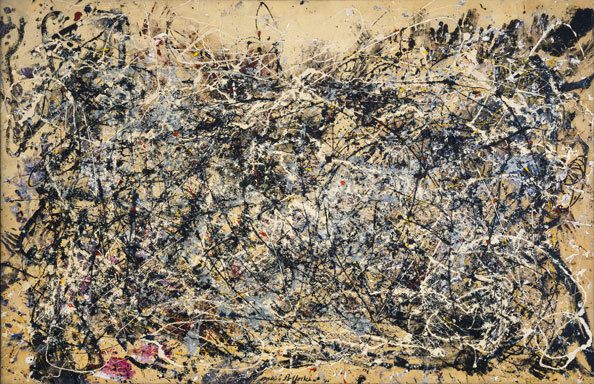 Abstract Expressionist New York is on view at MoMA until April 25, 2011. It was organized by the curatorial team of Ann Temkin, The Marie-Josée and Henry Kravis Chief Curator of Painting and Sculpture; Jodi Hauptman, curator, department of drawings; Sarah Suzuki, The Sue and Eugene Mercy, Jr. Assistant Curator of Prints and Illustrated Books; Sarah Meister, curator, department of photography; Michelle Elligott, museum archivist; Anne Morra, associate curator, and Sally Berger, assistant curator, department of film; and Paulina Pobocha, curatorial assistant, department of painting and sculpture. The AGO’s presentation, curated by AGO curator of modern and contemporary art David Moos, draws works from MoMA’s wide-ranging presentation, with a focus on the masterworks that epitomize the pivotal moment in modern art history. Abstract Expressionist New York will be time-ticketed and on view in the AGO’s Sam and Ayala Zacks Pavilion, currently home to Maharaja: The Splendour of India’s Royal Courts, organized by the Victoria and Albert Museum, London, in collaboration with the Art Gallery of Ontario. AGO members will be invited to an exclusive advance preview of Abstract Expressionist New York on May 26 and 27, 2011. Members receive unlimited free admission to the exhibition, among other discounts and benefits. More information on AGO membership can be found at www.ago.net/general-membership. With a permanent collection of more than 79,450 works of art, the Art Gallery of Ontario is among the most distinguished art museums in North America. In 2008, with a stunning new design by world-renowned architect Frank Gehry, the AGO opened its doors to the public amid international acclaim. Highlights include Galleria Italia, a gleaming showcase made of wood and glass running the length of an entire city block along the Gallery’s façade; and the feature staircase, spiraling up through the roof of Walker Court and into the new contemporary galleries above. From the extensive Group of Seven collection to the dramatic new African art gallery; from the cutting-edge works in the contemporary tower to Peter Paul Rubens’ masterpiece The Massacre of The Innocents, a highlight of the celebrated Thomson Collection, there is truly something for everyone at the AGO.